Looking to hire the best people for your organization? It’s not as hard as you might think, but there are some key activities that will help you attract and select the best talent for your company. Make it a priority. Your people are your business. Treat recruitment, hiring and on boarding as a business priority rather than a bothersome chore and you will be rewarded with higher productivity from new employees, better perception of your leadership, stronger loyalty from employees, and a more positive perception of your company and employer brand. Write a job specification that someone outside of your company can actually read. Don’t use acronyms or internal jargon that outsiders will not understand. The job spec describes a position in your company but it’s also a marketing tool and a reflection of your company’s employer brand. Also, be mindful of putting information in a job specification that may be considered privileged or confidential company information. Look inside your organization first. There is almost always a better payoff to promoting from within a company. You know the candidate, they know you. You can train for skills. Training for competencies and culture is difficult or impossible. Advertise through your employees and your networks. Referrals is a great way to find candidates who may not be actively looking for a job but who are open to taking a look. The best executive recruiters cultivate a network of professionals who can provide them with quality referrals when they have a search mandate. You can also advertise on job boards/ website/ social media, but I find that the best ‘matches’ often come through referrals. Look at skills to filter candidates and competencies to make make an offer. When presented with a large number of resumes to review, use a phone interview to determine if the candidate has the right skills to do the job. 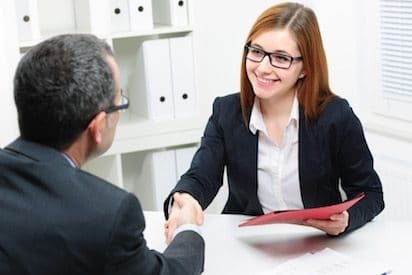 Invite those that make it past that step for a face to face interview where you will assess behavioral competencies in line with position and organization requirements.